Hey! My name is Daylen Orlick, and I am a junior marketing major and music minor from Reading, PA. When coming to Hofstra, I knew that I wanted to be a part of a performance community. I went to a performing arts high school, and music had always been a part of my life. 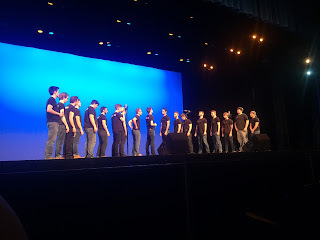 When visiting Hofstra for an Admitted Student Day (ASD), I saw one of the a cappella groups, the Hofbeats, perform on the Adams Playhouse stage. 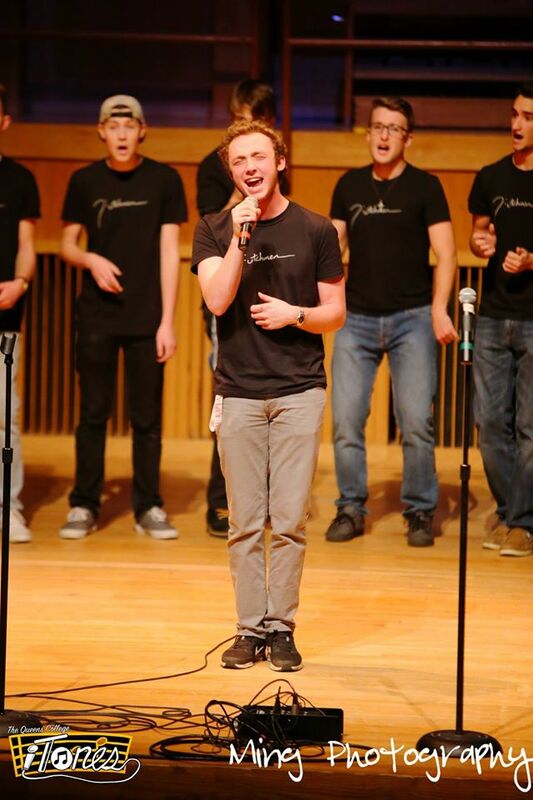 From that point forward, I knew I wanted to be in an a cappella group. 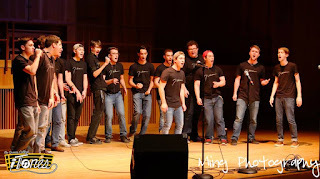 After coming home from the ASD, I did some research and found other a cappella groups on campus. Welcome Week finally came around, and I signed up at the club fair for audition times. The following Saturday came audition day. I decided I was going to try out for the Hofstra Dutchmen (the all-male group on campus) and for Sigma’cappella (a co-ed group on campus), and I wound up getting into both! Over the last couple of years I have worked hard and earned e-board positions in both groups. Currently, I am the president of the Hofstra Dutchmen and Treasurer of Sigma’cappella. Performing at the ICCA's that we hosted! 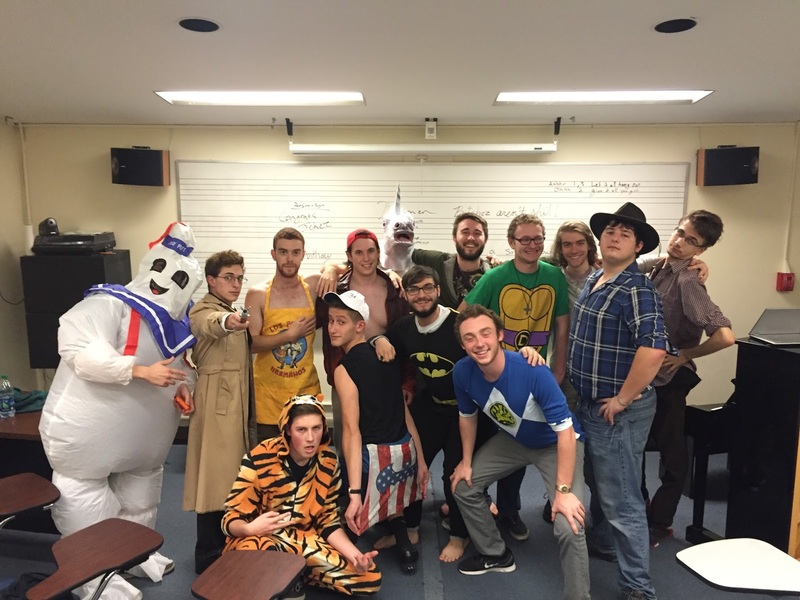 Being in an all-male group is a lot different from being in a co-ed group, so I’ll focus on the Hofstra Dutchmen and talk about the amazing experiences I've had with this group. There are 19 members in the Dutchmen, and we are all incredibly close - we are a group of brothers. We support each other in everything. Whether it is going to see a theater production because a couple of our members are in it, or a dance show because one of our guys choreographed something, we are there. The Dutchmen also hold social events like bowling, BBQ‘s and hangouts. Other than being a close group of guys, we obviously all share a passion for singing. We sing a variety of arrangements and are constantly learning new music. Out of all of the arrangements we have learned, my favorite would have to be our Game of Thrones arrangement. This one puts together multiple theme songs of television shows and movies. The songs that are in this arrangement are The Game of Thrones theme song, the Halo Theme Song, and the Pirates of the Caribbean theme song, as well as the imperial march theme from Star Wars and the Harry Potter theme song. The reason why this is my favorite arrangement is because it is just a boatload of fun! Everyone gets so energetic and the crowd always goes crazy when we sing it. I think the best advice I could give someone, especially as a first year, is if you are interested in performance, try joining an a cappella group! You will become a part of a family that will always be by your side while you’re at school. It is the best feeling in the world to be a part of something like this. They become the best group of friends you could ever hope for, and you won’t want to change it for the world!